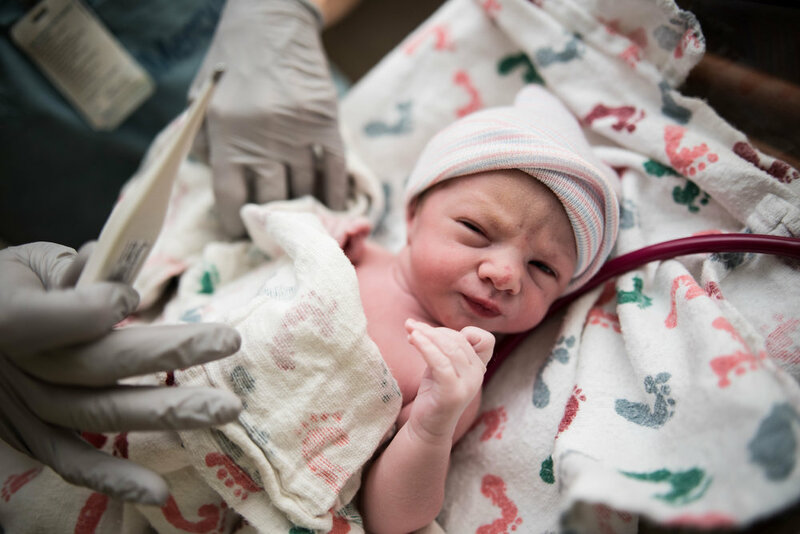 Going into the birth of her 4th baby, Sierra knew exactly what to expect when it came time for labor. Her last birth had been at home with her current midwife, who recently became the midwife at a local hospital. What she wasn’t prepared for this time—braving labor without the support of her partner. I’ve seen so many women work through the ebbs and flows of labor and each hold a grace of their own. 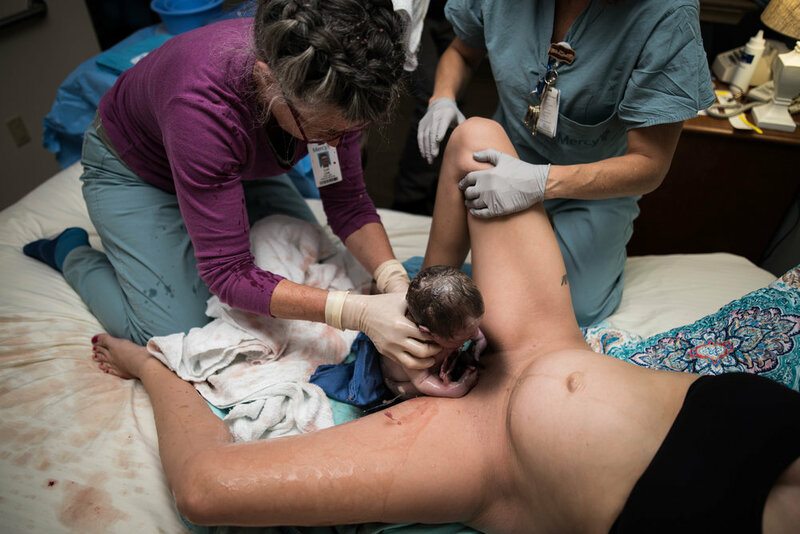 Whether opting for an epidural or laboring at home in a tub, labor still brings the same ferocity and whirlwind of emotions—both highs and lows—, and each woman must ride those waves in her own way. Sierra’s previous births were quick, and I had a strong feeling this one would be too, so I arrived before she was even in a birthing room. By the time she was in her room, she was in the late stages of active labor and well on her way to transition. 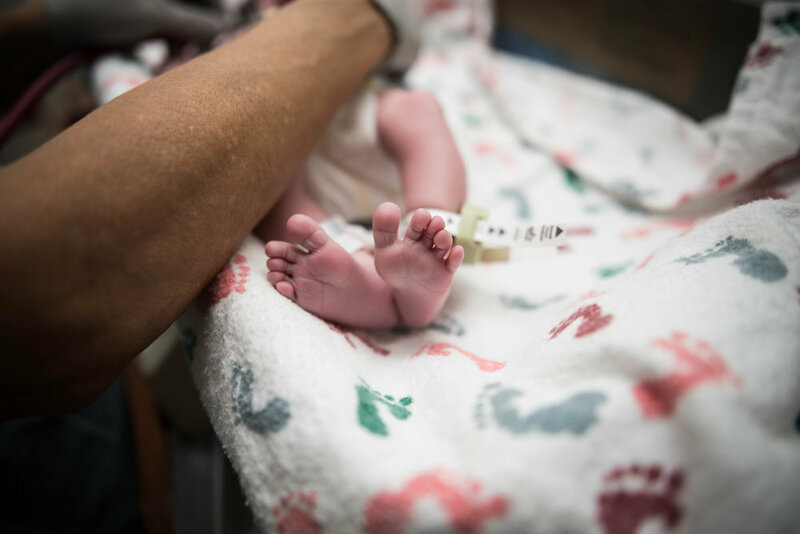 (She wasn’t checked by her midwife, as things were flowing so smoothly, but I could tell by the sounds and signs). I could feel that she was beginning to doubt whether she could do this and do it on her own. She got out of the tub and into bed because baby was moving down fast. As many women do at this point in labor, she began to vocalize her self-doubt. Her best friend and I told her how beautifully in control of her body she was and that this was completely and totally something she could do—and would do. She was so close. Sure enough, she was checked and was found complete—ready to push. It was like in this moment, she came into herself and actualized just how capable and brave she truly was, and is. Prior to pushing, she had a bulging bag of waters, meaning that part of her amniotic sac was already out. All it took was the pressure of her little girl moving down and with a crazy big gush, she came into the world! Baby’s dad arrived just in time to see his daughter being born and to cut the cord. The moments of bonding and snuggles that followed were totally precious and speak for themselves! I’m so honored to have seen the strength this Momma revealed and will carry into the rest of her life and journey through Motherhood.